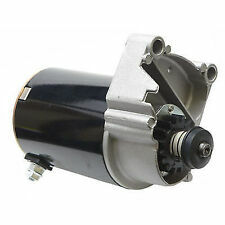 Mower Starter Craftsman Engine Kohler Courage V Twin 25 Sv-730 Sv735 26-27hp 54"
Cub Cadet: 725-04227, 725-04227A, 725-04227B, 725-06102A, 925-04227A, 925-04227B, 925-06119, 925-06119A, 72504227, 72504227A, 72504227B, 72506102A, 92504227A, 92504227B, 92506119, 92506119A. MTD: 725-04227, 725-04227A, 725-04227B, 725-06102B, 925-04227A, 925-04227B, 925-06119, 925-06119A, 72504227, 72504227A, 72504227B, 72506102B, 92504227A, 92504227B, 92506119, 92506119A. BRIGGS & STRATTON 394943, 399169, 490420, 494148, 494198, 494990, 497401, 499521, 499529, 691262, 795121. Alternators Tractor. CUB CADET Utility Vehicle (UTV) 4016 1996 Briggs & Stratton 16HP Gas. CUB CADET Mowers - Ride Behind GMT-125 1989 Briggs & Stratton 12.5HP Gas. Briggs & Stratton 593934, 693551. Lester 5777. OEM(s): Briggs & Stratton. Starter Type: PMDD. We have experienced technicians who can help you be certain you get the right product for your needs. Mtg Ear 1 Hole: 8mm Unthreaded. 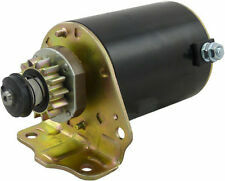 HONDA GENERATOR GX120 GX160 GX200 ASSEMBLY PULL STARTER RECOIL 5.5HP 6.5HP. 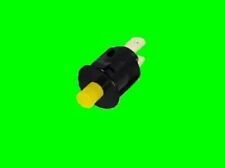 WE HAVE ANOTHER STYLE PULL STARTER WHICH WILL ALSO WORK FOR THIS ENGINE Item number 121550903252. There are 3 types of recoil used on Honda 5.5/6.5HP engine. 390838, 391423, 392749, 394805, 435303, 491766, 497594, 497595, 693054. 2004 RZT22 Briggs & Stratton 22HP. 2005 RZT50 Briggs & Stratton Engine. 2006 RZT50 Briggs & Stratton Engine. 2004 Z-Force 44 Briggs & Stratton 20HP. 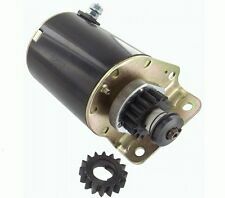 Starter Motor Drive Kit Fits Briggs & Stratton Craftsman MTD Murray 495878 696540 396865 3886 490421 16 Tooth Gear. Briggs & Stratton: 495878, 696540. Briggs & Stratton 696540. Starter Drive Kit. Stens Starter Drive Kit. Fits new style starters on single and twin cylinder engines. Part Number: 1209804, 1209808, 1209813, 1209815. 1209815S, 1209820, 1209822. FITS: KOHLER ENGINE. For C-Clip Style starters, will NOT work with the pin style starters. Drive Gear kit will fit many models of Briggs Engines. Kit includes, gear, drive hub, spring, washer and c-clip. Used on Briggs Models: 176432, 176437, 176452, 196402, 196412, 196417, 196422, 196427, 196432, 196436, 196437, 196452, 196457, 197402, 197412, 197415,, 197417, 28A707, 28B702, 28B705, 28B707, 28C702, 28C707, 28D702, 28D707, 28M076, 28M707, 28N707, 28N777, 28P777, 28Q777, 40A777 and 42E707. Replaces: M83184, 280104, 280104S, 693058, 693059, 695708, 4114, 4155, 4194, 5086H, 5086K, LG280104, LG280104S, LG693059, LG695708, M150236, M83184. Gear will fit many models of Briggs Engines. Quantity 2 (Two). 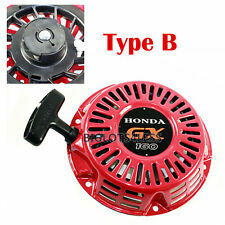 Briggs & Stratton 393017, 394674, 394808, 435307, 497596, 497956. Lester 5743. OEM(s): Briggs & Stratton. Briggs and Stratton Air Cooled Horizontal -. 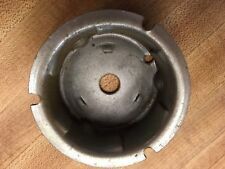 Briggs and Stratton Air Cooled Vertical -. Cub Cadet 1604 1985 - 1986. Lester 5777. OEM(s): Briggs & Stratton. Briggs & Stratton 593934, 693551. Number of Teeth: 14. Starter Type: PMDD. We have experienced technicians who can help you be certain you get the right product for your needs. Kohler 41 755 33. 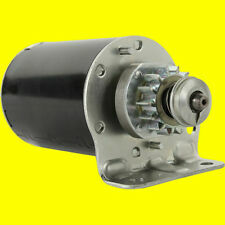 Fits Kohler Starter Motor41 098 04, 41 098 06. 10 Teeth Pinion Gear. Kit Includes (Exactly as picture showing). 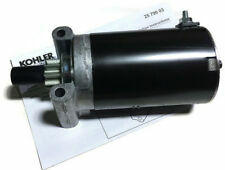 Kohler Genuine Starter. This is the new improved version re-designed starter shaft. Part # 3209808S. MPN: 106319,112563,410-22005,410-22015,494148, SBS0004, SM63665746AD 394943, 399169, 490420, 494148, 494198, SBS0004 LG499521,LG691262,SBS0004. BRIGGS & STRATTON 394943, 399169, 490420, 494148, 494198, 494990, 497401, 499521, 499529, 691262, 795121. Fits GX340 11hp and GX390 13hp engines. Replaces:M83184, 280104, 280104S, 4114, 4155, 4194, 5086H, 5086K, 693058, 693059, 695708, LG280104, LG280104S, LG693059, LG695708, M150236, M83184. Briggs & Stratton. - 16 Tooth. UNIVERSAL STARTER SOLENOID 4 POLE 12 VOLT REPLACES OEM: 109946, 146154, 1753539. JOHN DEERE AM138497. AYP/ROPER/SEARS 109946. BOLENS 1753539. AYP/ROPER/SEARS 146154. HUSQVARNA 532 10 90-81. HUSQVARNA 532 10 99-46. Delta Style Snap-in Switch. For use with GY20680 Key. 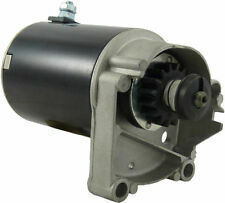 Replaces Part Numbers: GY20074, 5321755-66, 532 17 55-66, 532175566, 532 16 39-68, 5321639-68, 532163968, 33-376, 430-445, 7015, B160025. 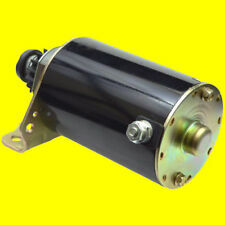 TYPE A HONDA GENERATOR GX120 GX160 GX200 ASSEMBLY PULL STARTER RECOIL CUP 5.5HP 6.5HP. SIZE: 17.3CM x 17.3CM x 4CM. WE WILL TRY OUR BEST TO MAKE THINGS RIGHT. NO LOCAL PICK UP. High quality diamond braid cord. Heavy-duty rope. Rope #: 4 1/2. Low stretch core. For chain saws, larger 2-cycle and 4-cycle push mower engines. Part Number: 145-608. Replaces these part numbers. Trending at $13.80eBay determines this price through a machine learned model of the product's sale prices within the last 90 days. 286707, 287707, 289702, 289707, 28B702, 28B707, 28D707, 28M707, 28N707. 250412, 250417, 252411, 252412, 283702, 283707, 284702, 284707, 286702. THIS STARTER IS USED ON THESE BRIGGS AND STRATTON ENGINE NUMBERS. BRIGGS & STRATTON 693713. SEE BELOW FOR DETAILS. #4.5 recoil / pull rope PREMIUM DIAMOND BRAID! 6feet STRONG solid core braided starter cord. great for push mower, large 2 cycle and chainsaw applications. This will fit most push lawn mower and chainsaw motors but. 2005 LT1045LE - Kohler 20HP Courage Twin. 2006 LT1045LE - Kohler 20HP Courage Twin. 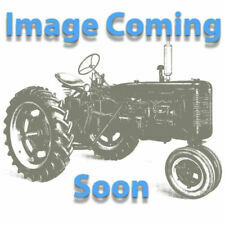 2005 LT1046 - Kohler 23HP Courage Twin. 2006 LT1046 - Kohler 23HP Courage Twin. 2005 SLT1550 - Kohler 25HP Courage Twin. L107 17HP All Years. L105 14.5HP All Years. FITS: JOHN DEERE BRIGGS & STRATTON ENGINE. L100 17HP All Years. Features: 12 Volt CCW 14 Teeth Drive. Sold exactly as shown in the photo. 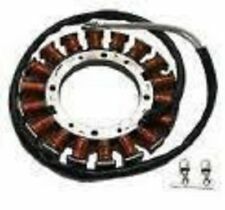 OEM Reference: Briggs & Stratton 497606, 696541. Briggs & Stratton 391178, 396306, 394805, 693054, 497595, 392744, 394808, 394674, 497596. 695708 -- 16 Teeth plastic Pinion Gear (40.5mm OD/ 11.5mm TH). We will take a look and make sure you're getting the correct part. Briggs & Stratton 295871. Briggs & Stratton: 295871. 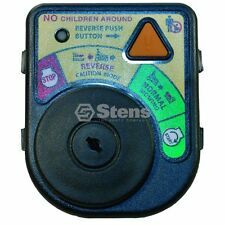 Stens Starter Pulley With Rope. Briggs & Stratton 130200-132900, 170400-176400, 19B400-226400, 252400-259700, 280700-286700 and 326400. Includes 63" of #5 1/2 rope. S2348 23HP 2000-2001. FITS: SCOTT'S KOHLER ENGIENE. 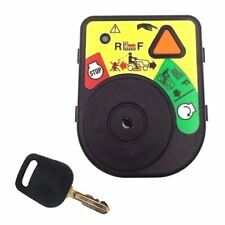 Features: 12 Volt CCW 10 Teeth Drive. Sold exactly as shown in the photo. Used on: Kohler Courage Twin SV710 SV715 SV720 SV725 SV 710 715 720 725. Kohler SV720. Cub Cadet LT1050 with the Kohler 23 HP Model SV720S engine. 2011 cub cadet Z force 48 with a Kohler 23 horse. RXT 50 Cub Cadet with Kohler engine. Ariens: 03115200. Jacobsen: 129746, 129846. Ariens: GT10-GT18. Gravely: 019223. Jacobsen: HF-5, Outfront 72", Turf Cat 50 and 60, Greens King II and IV most models. Gravely: 2 and 4 wheel tractors, Pro Master 30-H, 50, 100, 200, 300 and 400 models. Mower Starter Engine For Kohler Courage V Twin 25 SV-710 SV715 20-27hp 54"
Mower Starter Craftsman Engine Kohler Courage V Twin 25 SV-730 SV735 26-27hp 54". 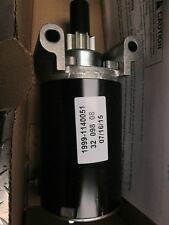 Caltric Starter fits Kohler Courage Twin SV730 SV735 SV740 SV810 SV 730 735740 810. Used on: Kohler Courage Twin SV730 SV735 SV740 SV810. 2000 3654 - Kohler 25HP Gas. 2001 3654 - Kohler 25HP Gas. 2000 3660 - Kohler 25HP Gas. 2001 3660 - Kohler 25HP Gas. S2554 - Kohler 25HP. 2000 365 - Kohler 20HP Gas. 2001 365 - Kohler 20HP Gas. 2002 365 - Kohler 20HP Gas. Troybuilt Pony. Briggs & Stratton 17.5. It should fit any Briggs and Stratton single cylinder engine and as long as your original Starter uses a 14 tooth drive gear. Look closely at the photos of the mounting plate and its bolt holes to be sure they line up. Cub Cadet -- 394808. Toro -- 394808. 18.5 HP I/C BRIGGS AND STRATTON TWIN IN A OLDER(2001) YARD MACHINES MOWER. 19 HP Briggs I/C engine (Murray riding mower). Fits: Briggs & Stratton 14, 16, 18HP Horizontal Engines. BRIGGS & STRATTON: 298310, 298798, 394558, 399671. Briggs & Stratton 60100-326400 and most rewind starter engines. We recycle! 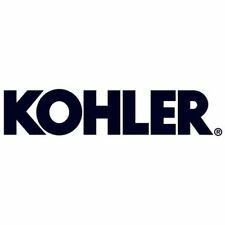 Kohler 20-098-01, 20-098-01S, 20-098-05, 20-098-05S, 20-098-06, 20-098-06S, 20-098-08, 20-098-10, 20-098-10S. G4010 Kohler 19HP Gas 2007-2009. G4020 Kohler 21HP Gas 2007-2009. G4010 Kohler 19HP 2007-2008. CV13, CV14, CV15, CV16. CH14, CV11, CV12.5. FITS: KOHLER.